Our Barometer can be used for either weather studies or for lab experiments involving pressures close to normal atmospheric pressure. The pressure range is 24 to 32 inches of Hg (0.8 to 1.05 atm) absolute pressure. 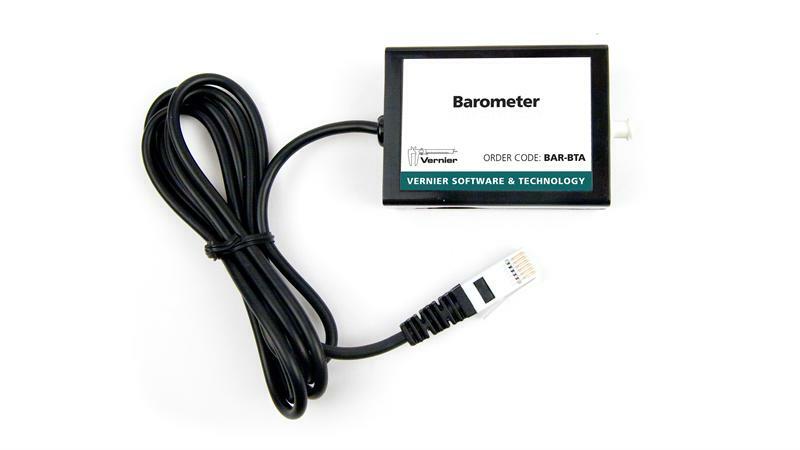 The Barometer requires a compatible interface and software to collect data. Interface and software sold separately.